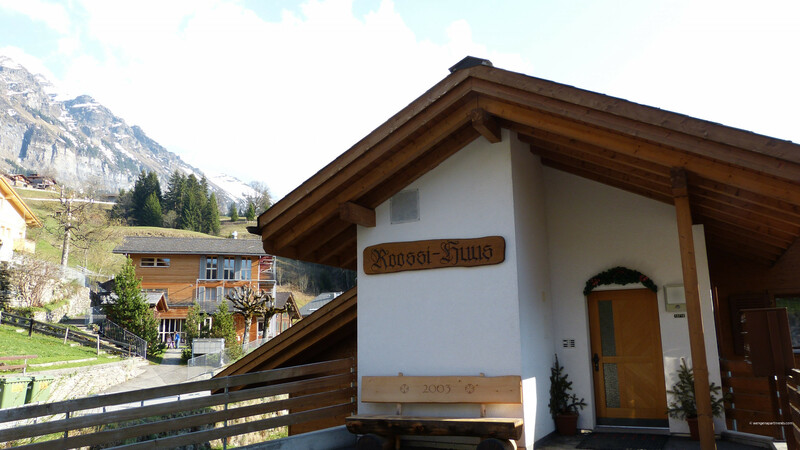 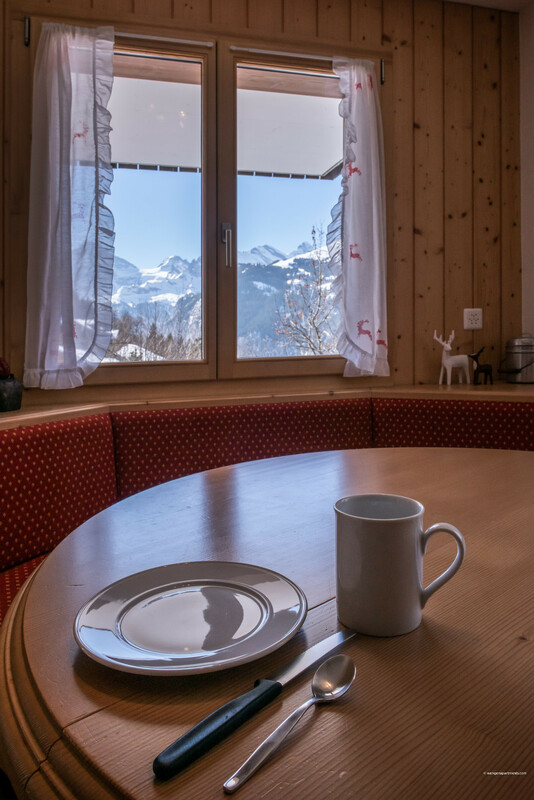 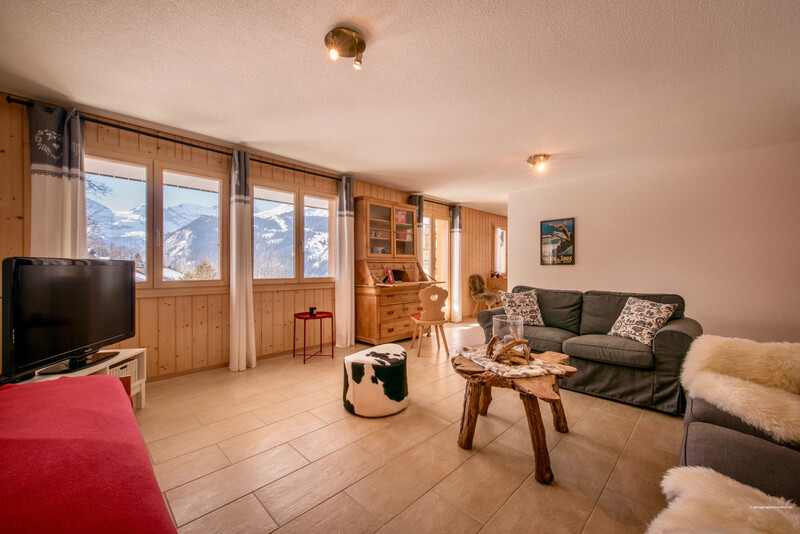 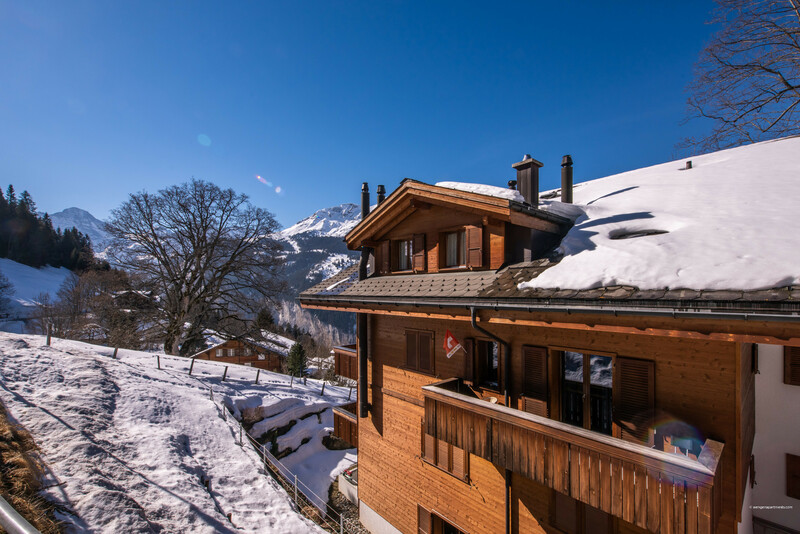 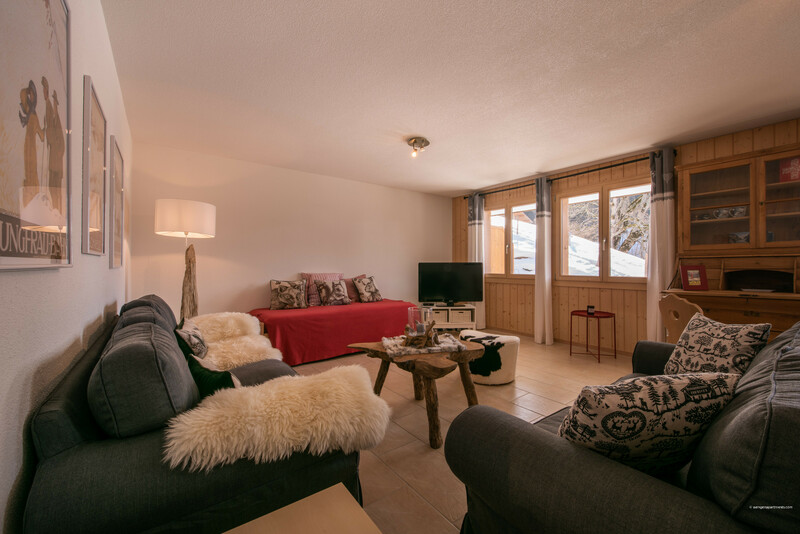 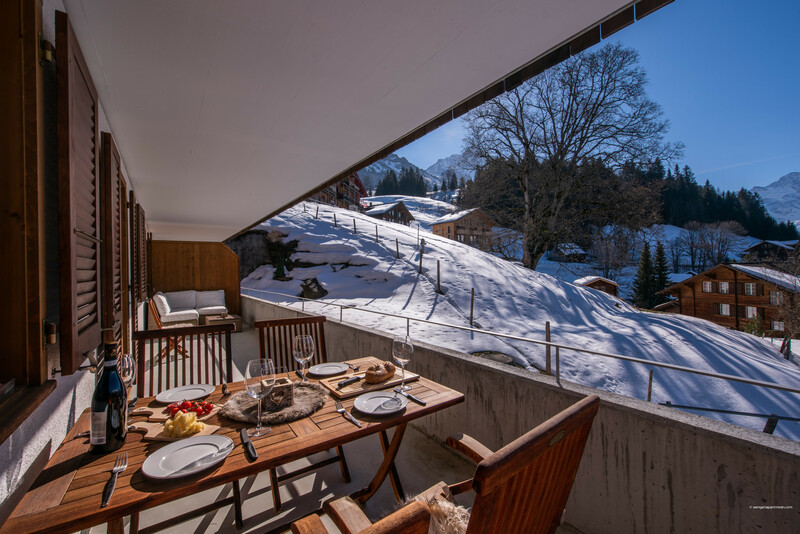 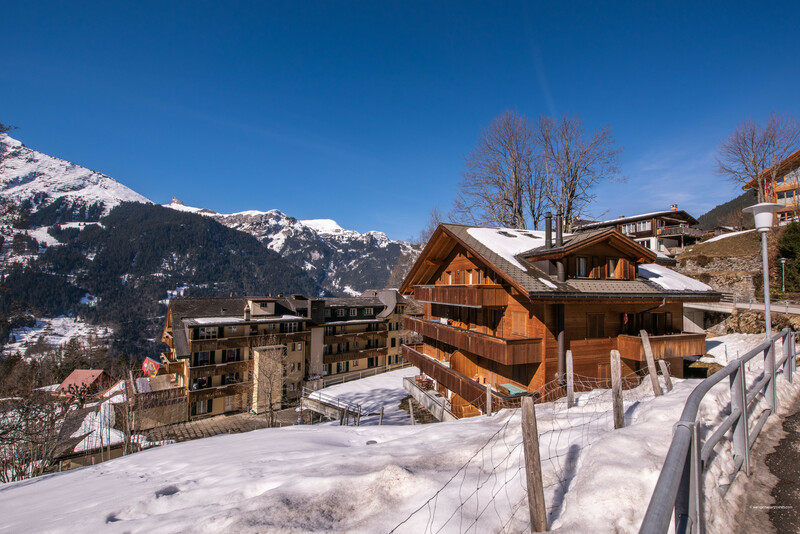 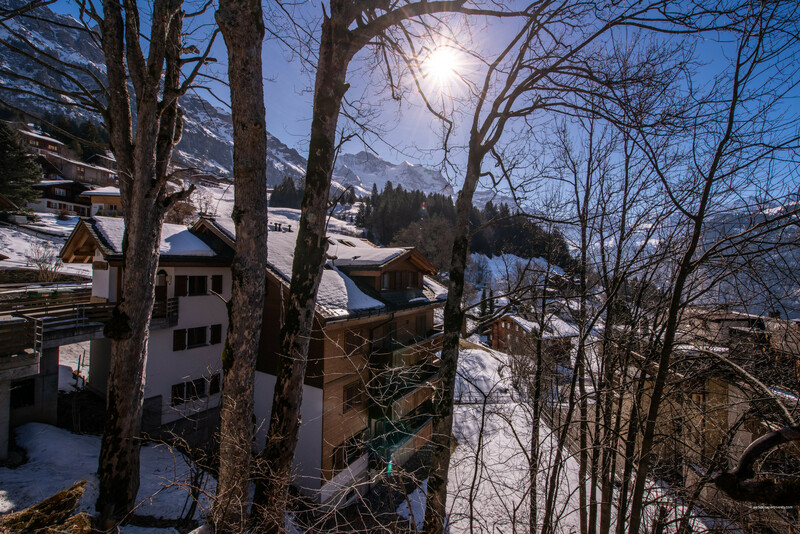 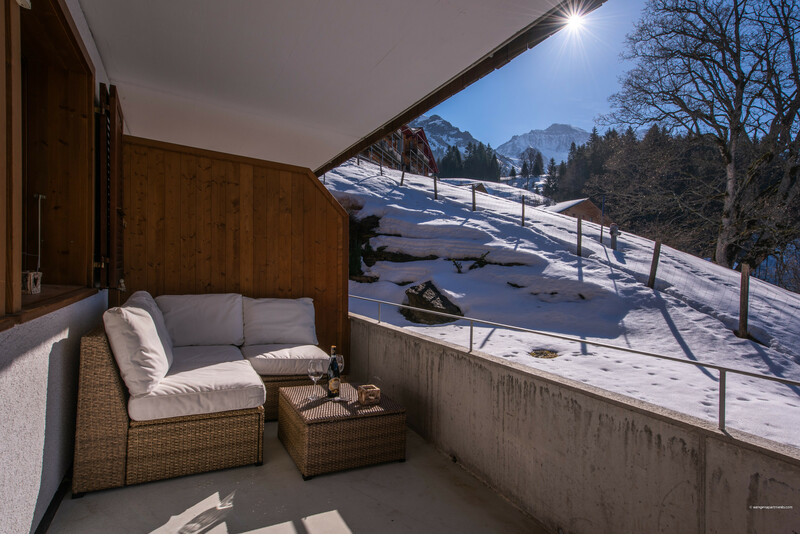 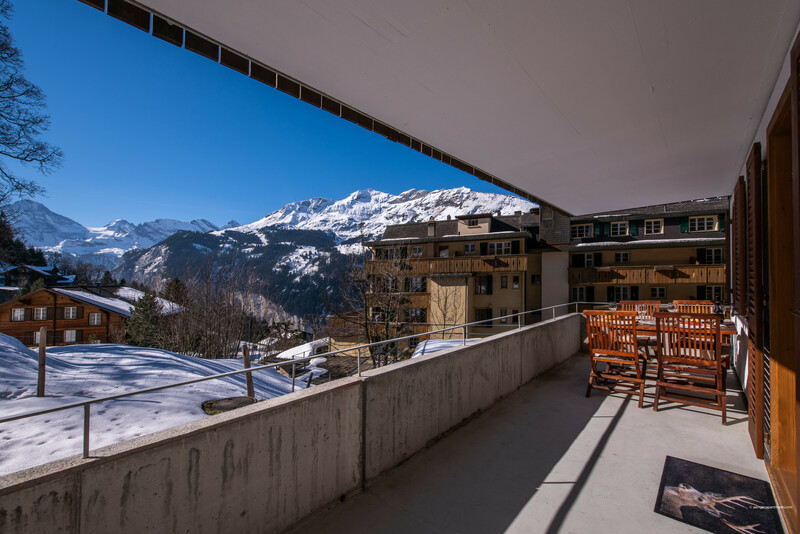 New to the rental market, Chalet Roossi Huus 1 is a charming recently built 2 bedroom apartment with glorious views towards the Lauterbrunnen valley and surrounding mountains. 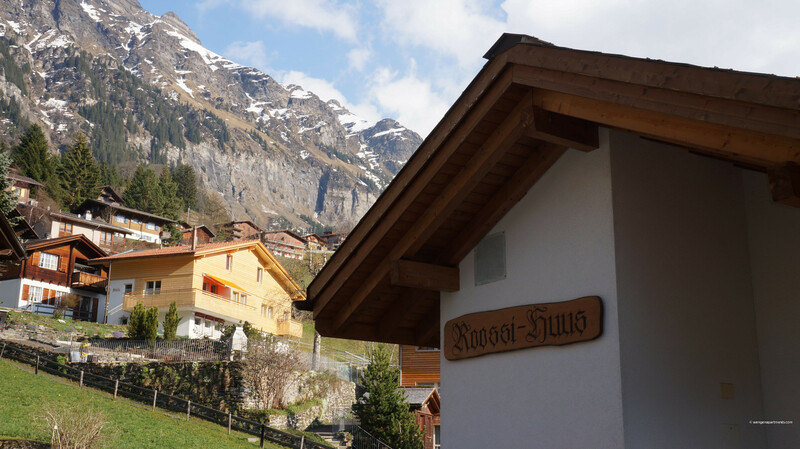 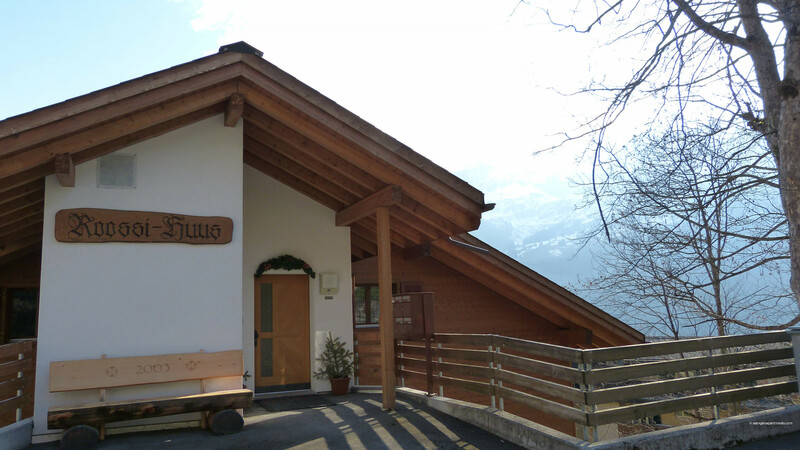 Set in a quiet location, it is just a short walk to the centre of the family-friendly “car-free” village of Wengen. 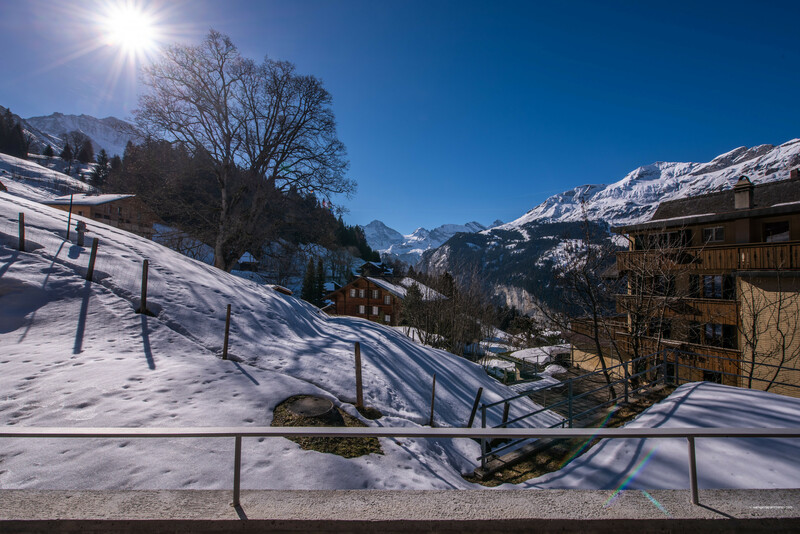 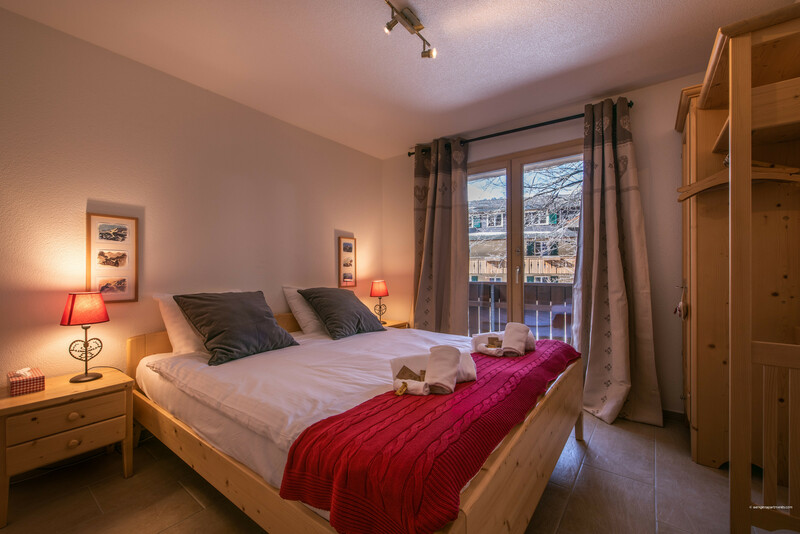 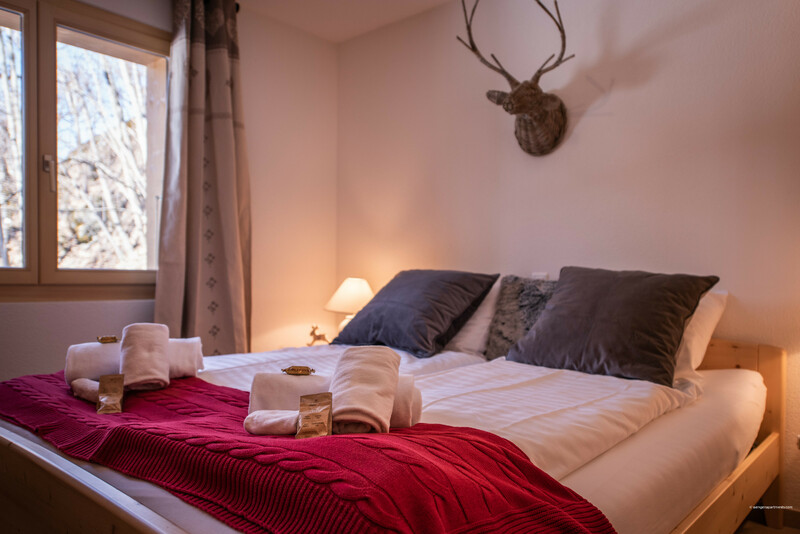 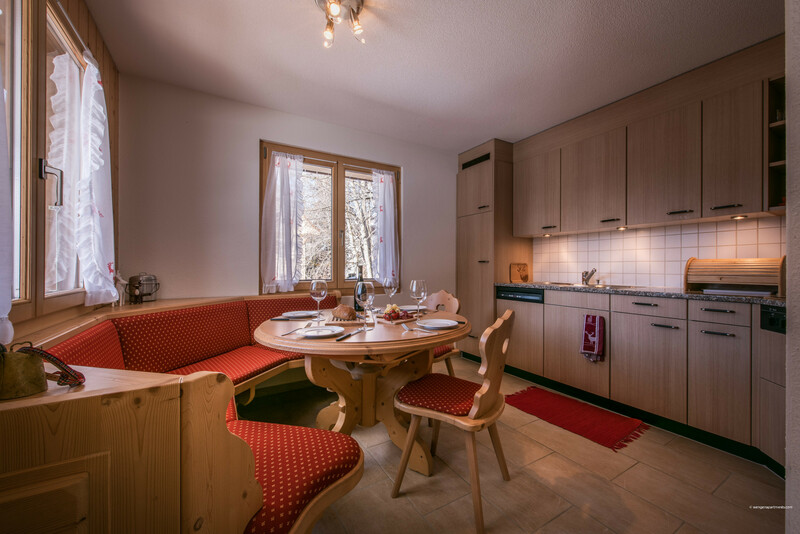 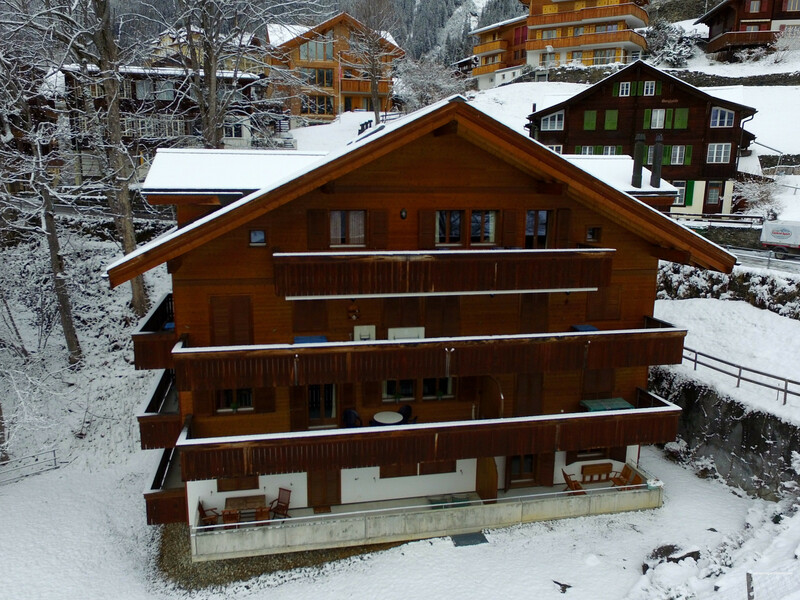 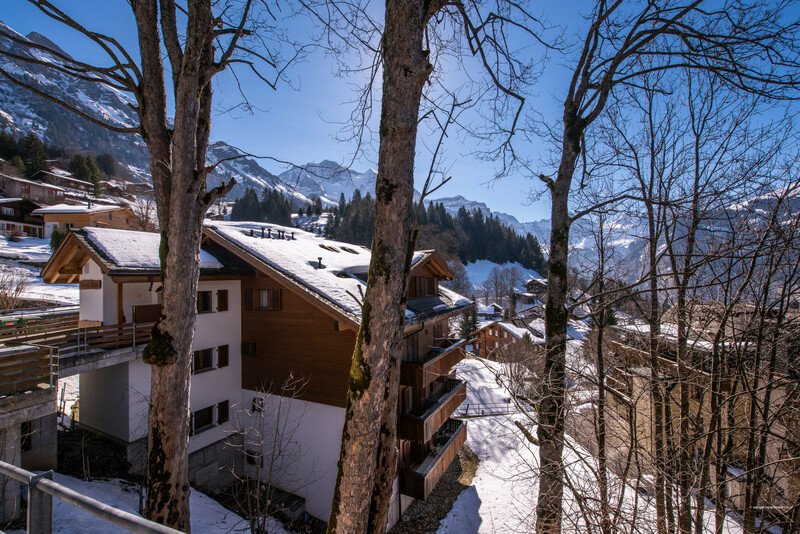 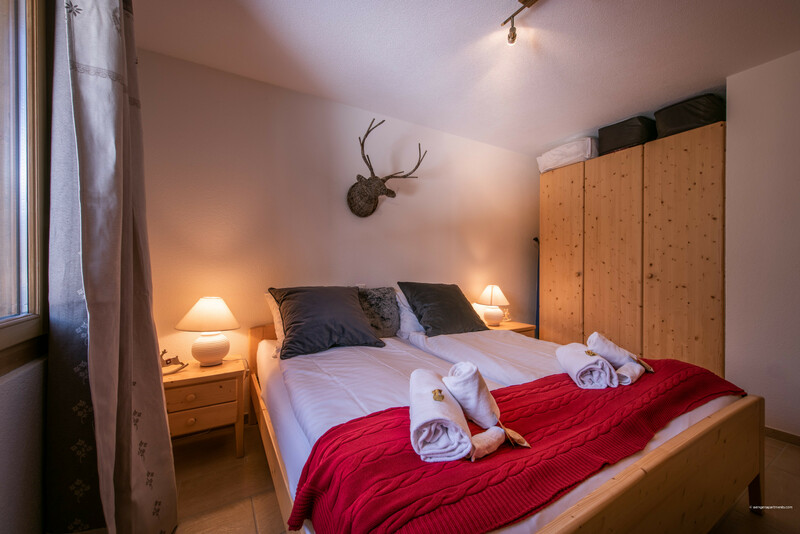 Apartment location - just 350 metres from Wengen train station, 300 metres to the nearest supermarket and 400 metres to the nursery ski slopes and Männlichen cable car, access to mountain hiking and local ski areas is just a short walk away! 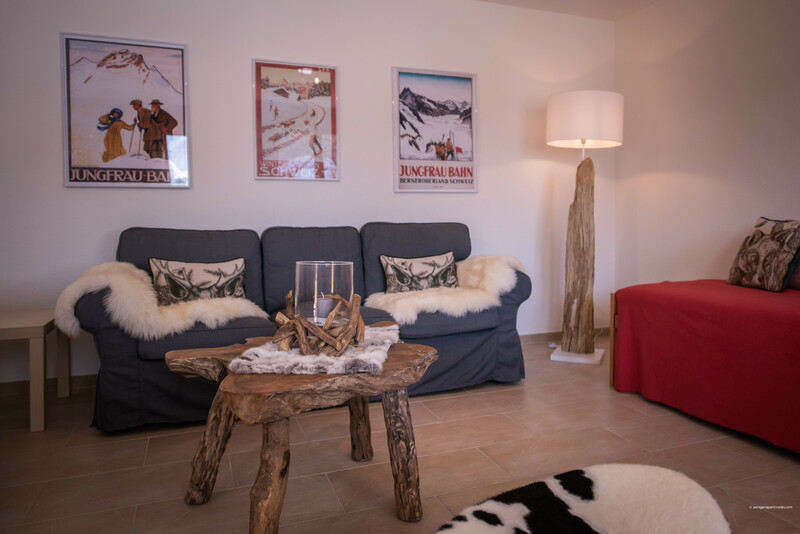 This corner apartment has lovely modern style with touches of traditional Alpine chic - the perfect choice for a family or group of friends! 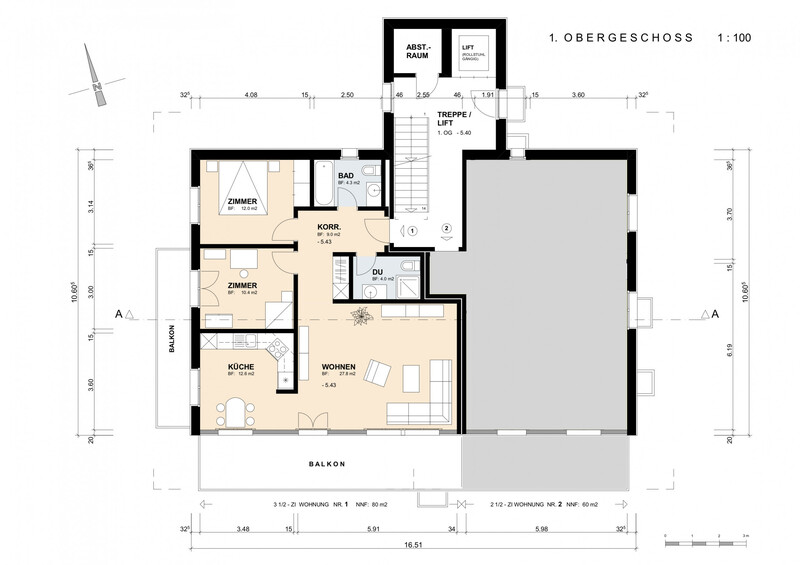 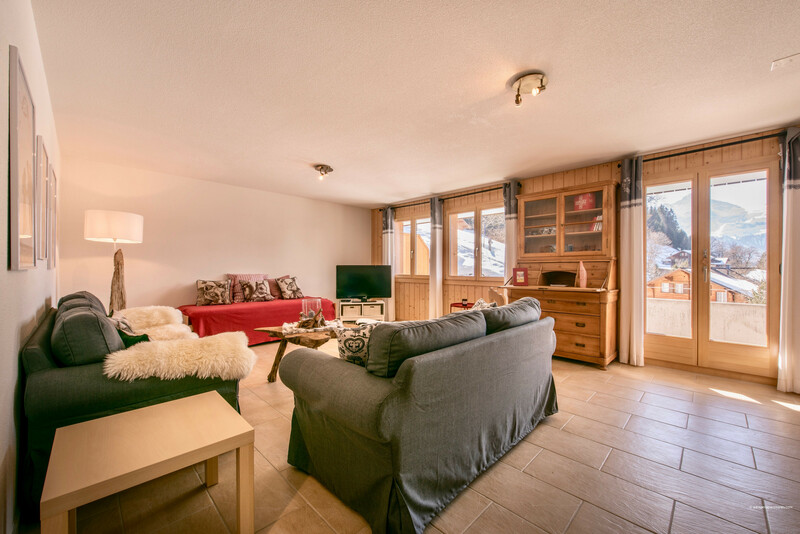 It has a very spacious living room which is bright and airy. 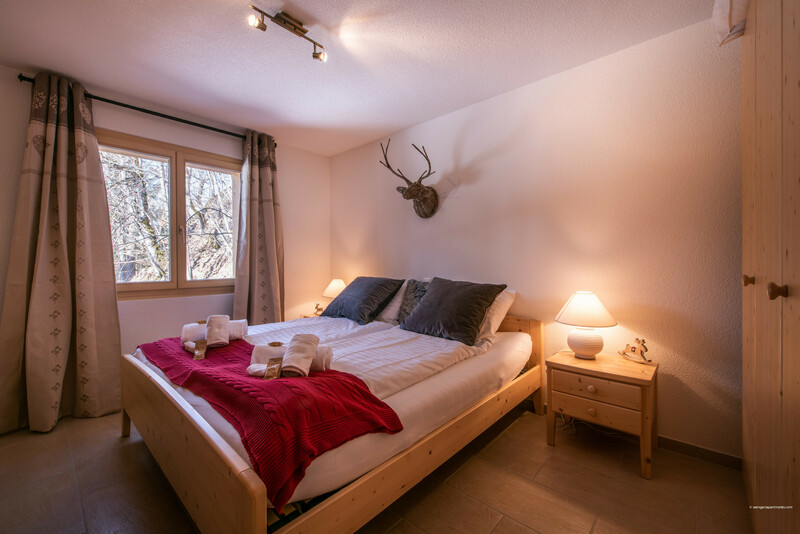 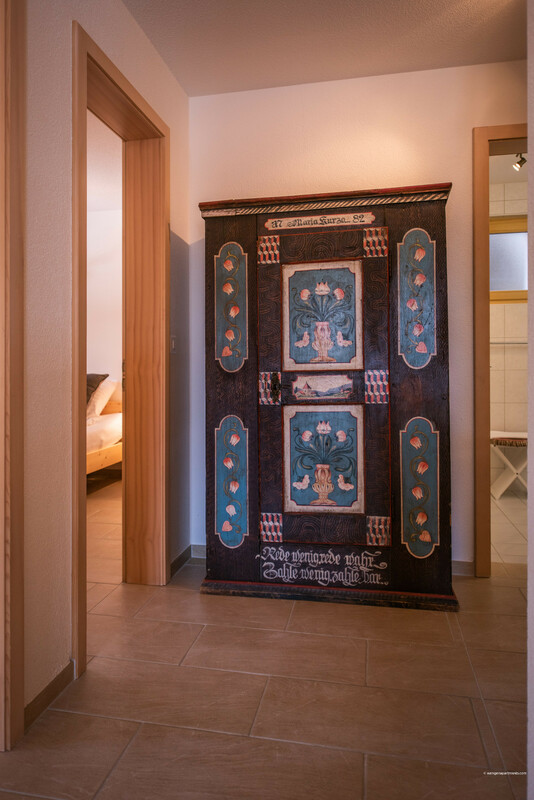 This leads to the sunny south facing balcony where you can relax with a glass of wine and some fine Swiss cheeses while you unwind after a day hiking or skiing. 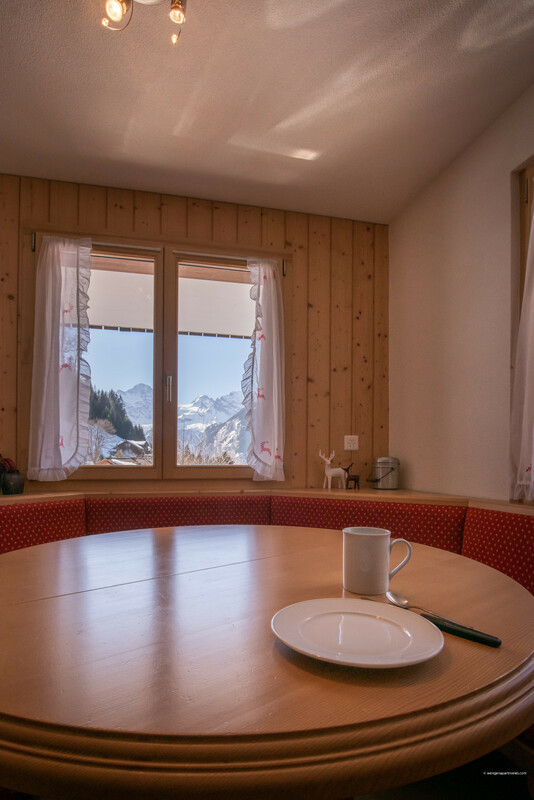 Just relax and soak in the wonderful mountain views! 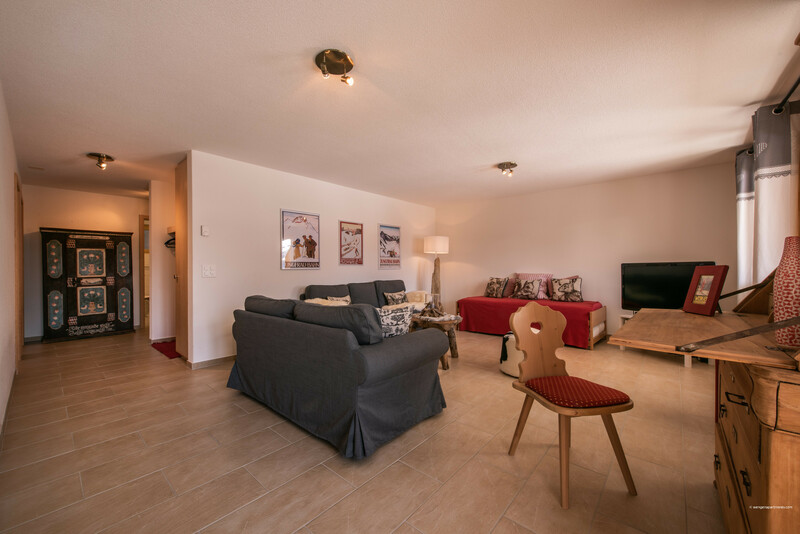 The generous living room is the natural gathering place with free WiFi and wide-screen TV making it easy to relax and entertain. 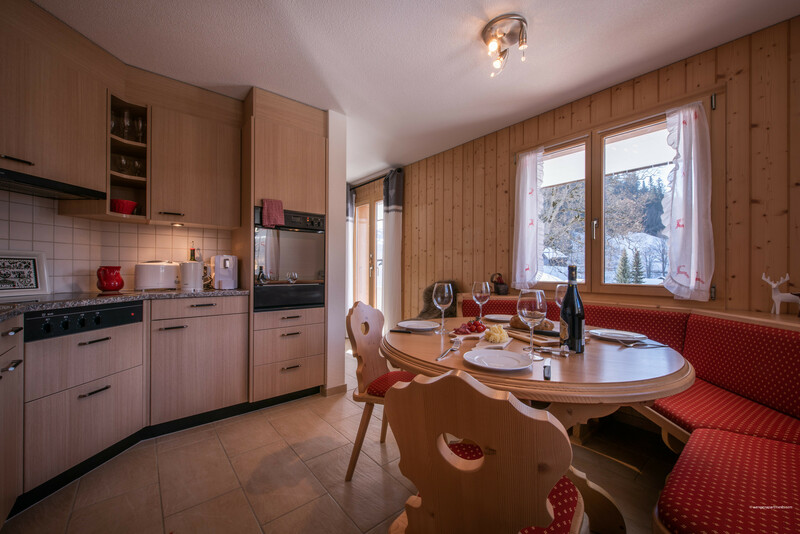 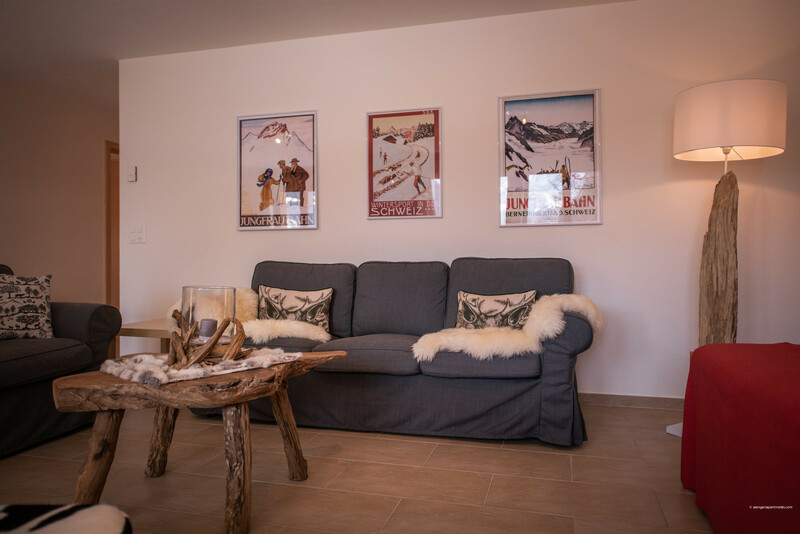 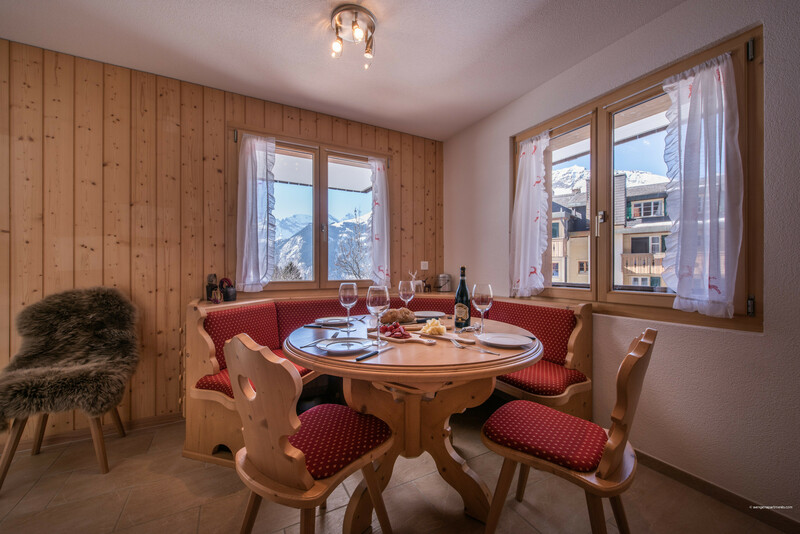 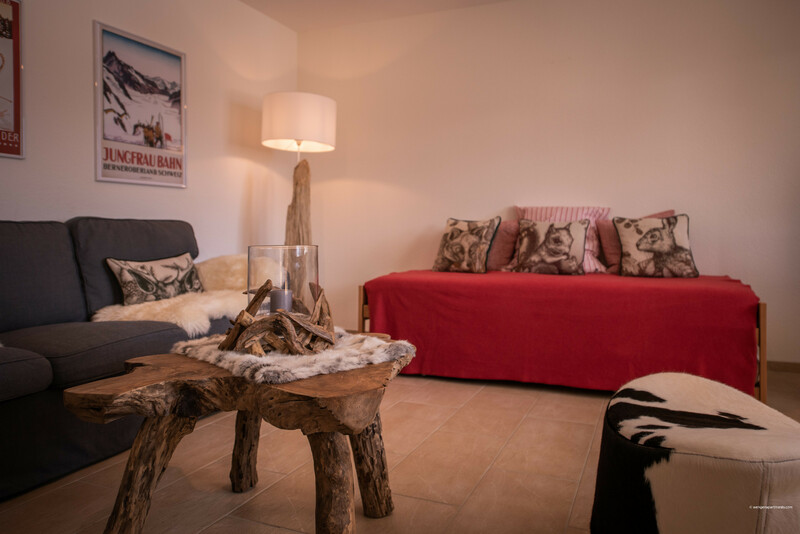 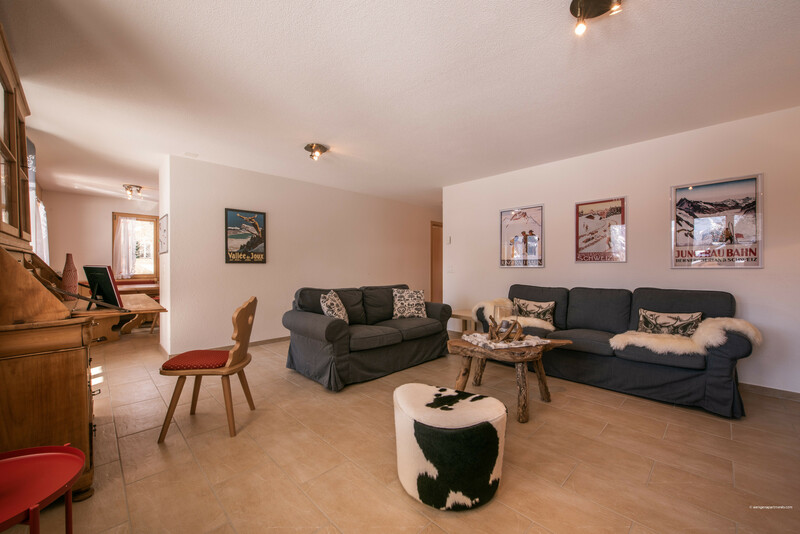 This lovely apartment is the perfect choice for a laid-back family or group holiday in a magnificent Alpine setting! 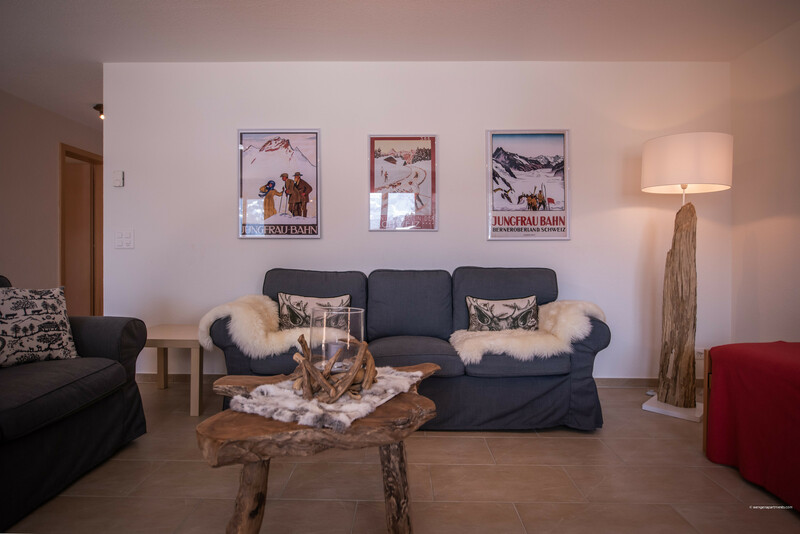 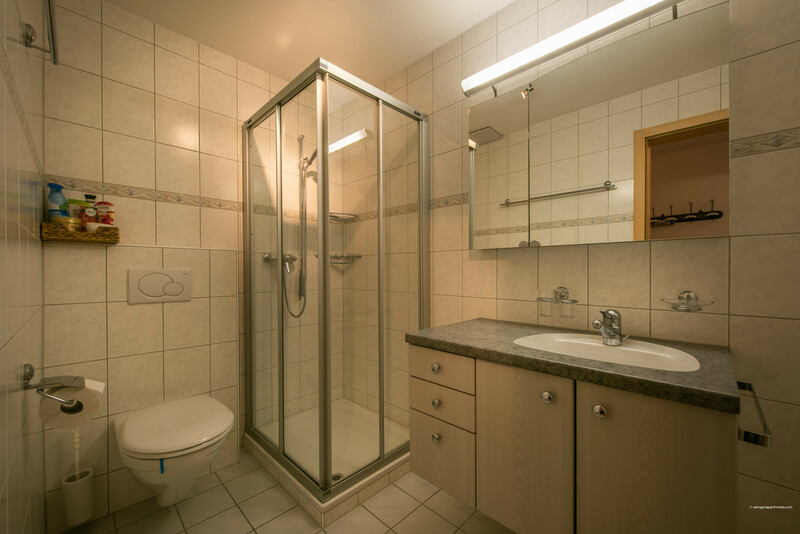 Things to note: There are no laundry facilities available for use in the apartment or chalet. 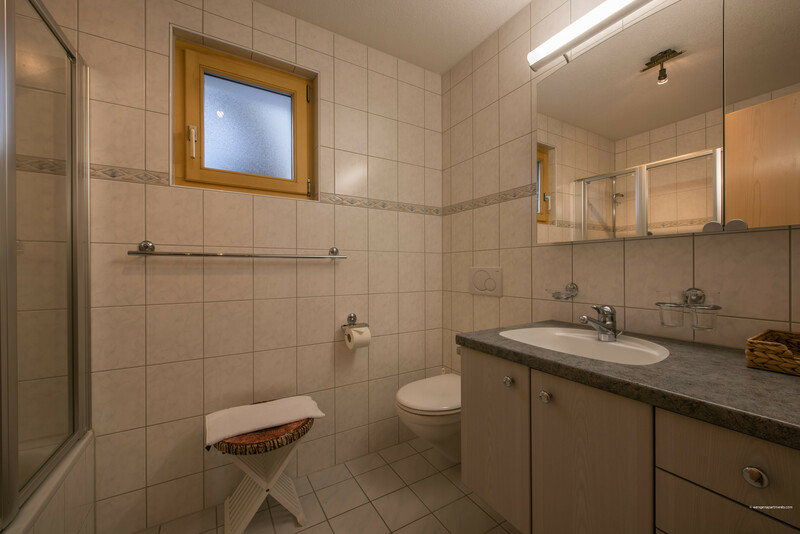 There is a self-service laundromat 6 minutes (350 metres) walk from the apartment. 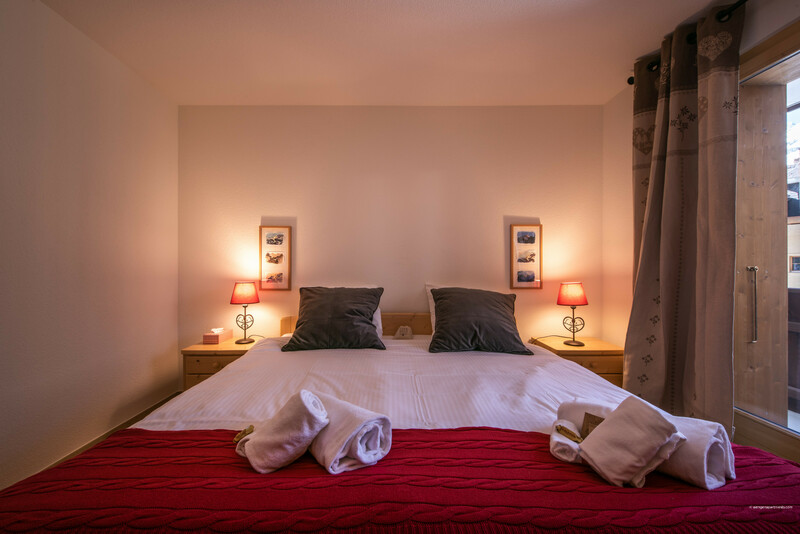 2 King size beds, 2 Sofa beds. 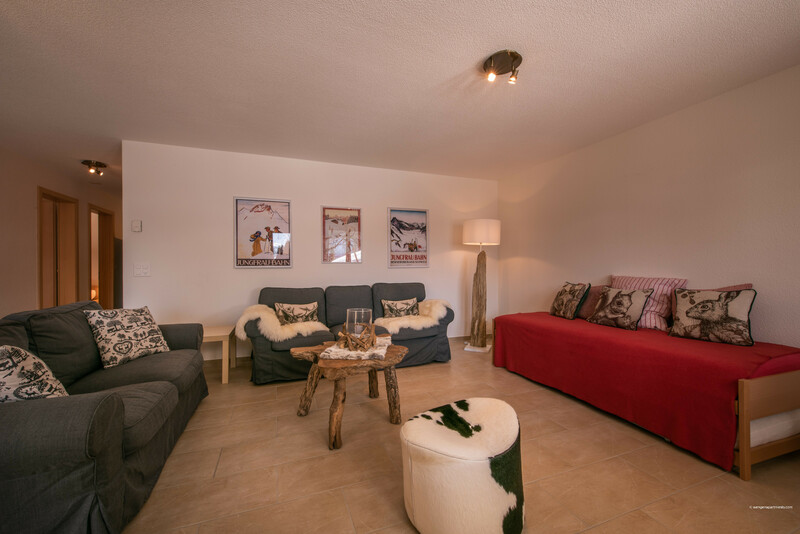 1 TV, TV Satellite (Languages: English, German, French), lift, garden furniture, iron, internet (Wi-Fi), hair dryer, balcony, 80 m² property, 110 m² plot, central heating.